Although Mauritania is considered a dry region, with most of the country consisting as a part of the African Great Desert, its natural history and evolution occurred at the same time as the extinction of some species, like elephants, in its lands. Geographically located in West Africa, its beach overlooking the Atlantic Ocean with a length of 700 km, this region has a special importance in the sea fishing industry and for its environmental diversity; and let’s not forget that thousands of years ago, the different races and cultures that developed in its desert. 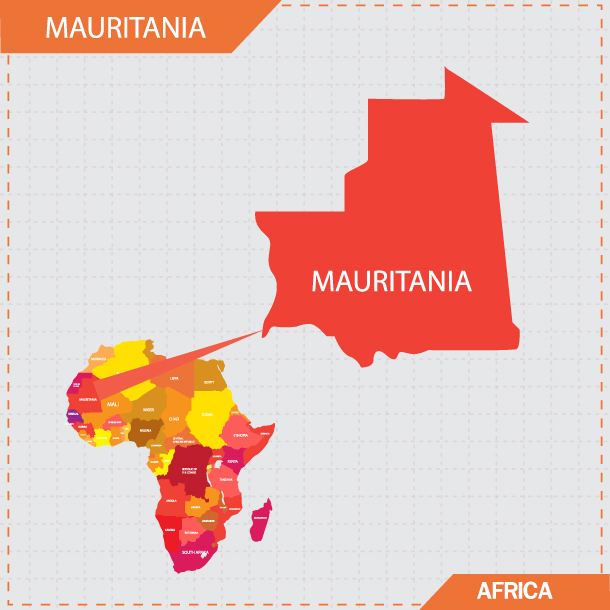 Despite the limited economic capabilities of Mauritania, it was keen on international cooperation and adopted international conventions related to environment and natural life protection. The country became a signatory to the “Convention on International Trade in Endangered Species of Wild Fauna and Flora” (CITES) in 1998, in addition to other agreements, such as: CBD and CMS. A considerable time passed since Mauritania signed CITES, and the country couldn’t, until now, build the capacities required to implement this Convention and draw up the necessary legislation. As the International Fund for Animal Welfare (IFAW) is keen on reaching the far flung regions and countries that most need financial and technical support, or that for whatever reason have become routes for illegal international trade in wildlife, IFAW was pleased to take the initiative and help Mauritania to build the capacity of its national bodies in combating the illegal international trade in wildlife. In helping Mauritanian authorities to implement CITES, we have made the best use of this chance to give the event a regional characteristic by inviting a number of neighboring countries to participate in this training, including representatives from Morocco, Algeria and Tunisia. Throughout the workshop, we discussed with the participants from Morocco and Algeria the possibility of holding similar workshop, for the first time, in their countries. In our initial visit made to Mauritania in the beginning of April this year, it was revealed that French is the most popular language in educational and training situations. In order to bring the maximum benefit of this training, we handled this by bringing trainers who speak French and Arabic and have the proper experience in implementing CITES protocols. Given the regional importance of sea fishing and its impact on marine life, a great focus was given to the implementation of CITES on marine species, especially given the recent resolutions issued under CITES in this regard. A lecture on “Elephants & Ivory” was given on World Elephant Day (12 August) which was one of several happy coincidences. The workshop was launched by Mr. Amdi Kamra, Minster of Environment and Sustainable Development (workshop sponsor) in the presence of the Mauritanian Ministers of Finance & of Trade, the country’s FAO representative, secretary- general of the Ministry and a number of concerned officials. Workshop Participants included representatives from key authorities in Mauritania (Customs & Environment), in addition to representatives from several research and executive bodies. The Minister of Environment and Sustainable Development extended thanks to IFAW for its support and interest in building the national capabilities. The Minister also asked for more support in developing national legislation and building protocol capacities, noting “IFAW is the first organization to take interest in Mauritania in this aspect”. The facial expressions of all participants from Mauritania and nearby countries reflected how assiduous and persistent they were to learn from the lecturers during practical training, especially during training on anti-smuggling and how to recognize the species directly or by using an iPad. Evaluations and comments of the participants and supporters of the workshop reflect the great success achieved by this workshop. IFAW is keen on tracking the results of its work and efforts, as such the participants were informed of the importance of following up on the benefits of this workshop and its future impact on their fields of work. In addition, the efforts of trainees will be followed and measured to determine if the developments achieved merit providing upcoming support opportunities. We believe they will and that our efforts will continue to create benefits for Mauritania, the region and the citizens of both through in the future. For more information about IFAW efforts to prevent wildlife crime, visit our campaign page.